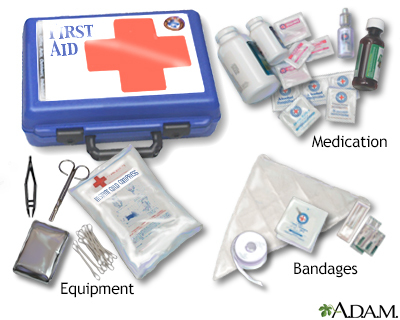 The essentials of a good first aid kit include a variety of bandages, medications, and equipment to stabilize injuries until proper medical attention can be administered. 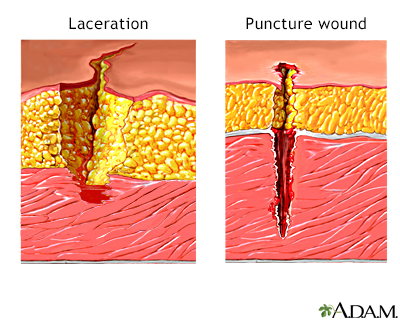 A laceration is a wound that is produced by the tearing of soft body tissue. 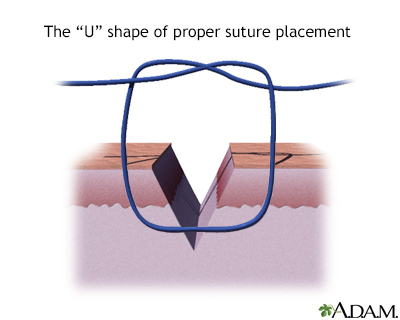 This type of wound is often irregular and jagged. 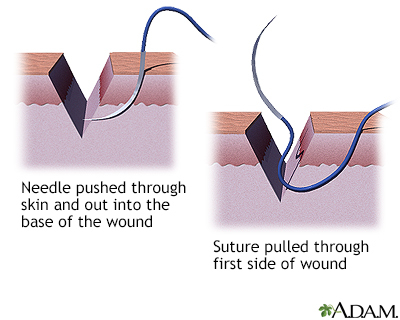 A laceration wound is often contaminated with bacteria and debris from whatever object caused the cut. 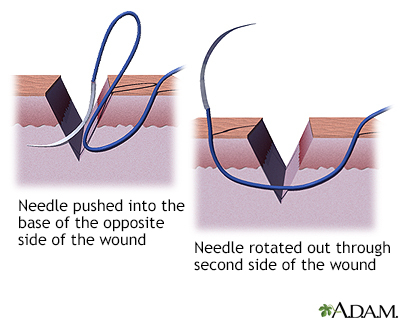 A puncture wound is usually caused by a sharp pointy object such as a nail, animal teeth, or a tack. 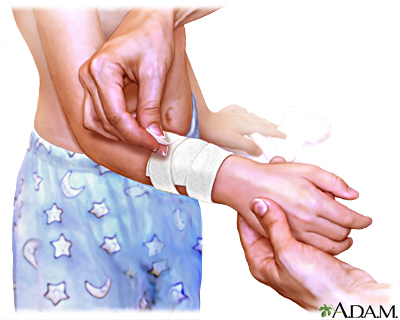 This type of wound usually does not bleed excessively and can appear to close up. 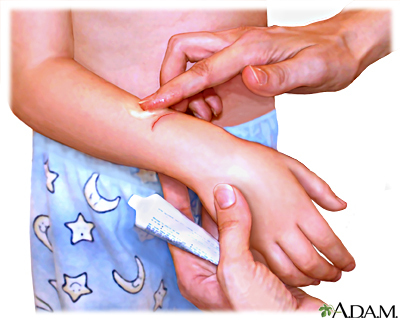 Puncture wounds are also prone to infection and should be treated appropriately. 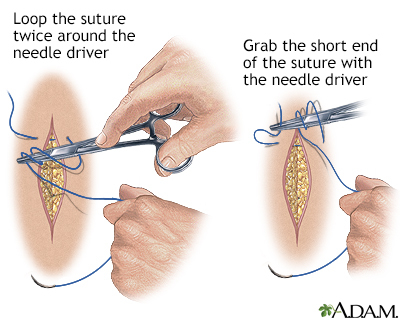 Stitches are primarily used if the cut is more that a quarter inch deep, is on the face, or reaches bone. 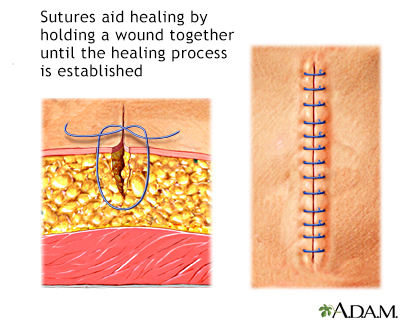 Stitches help hold the wound together so it can heal properly. 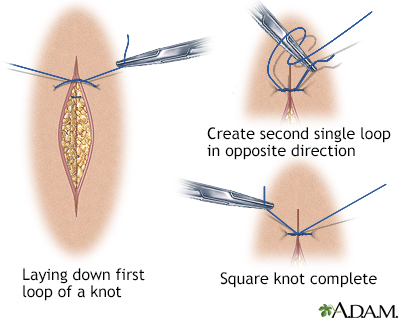 Stitches are removed between 3 to 14 days after they are put depending upon which area of the body was injured. 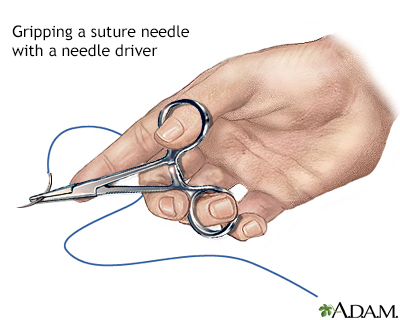 Stitches on the face can be removed within 3 to 5 days but areas of high stress such as hands, elbows, and knees must stay in 10 to 14 days. 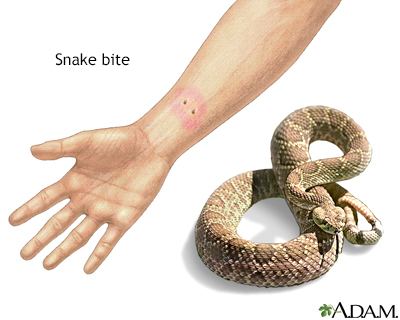 Venomous snake bites are medical emergencies and require immediate attention. A venomous snake bite can cause severe local tissue damage and often requires follow-up care. 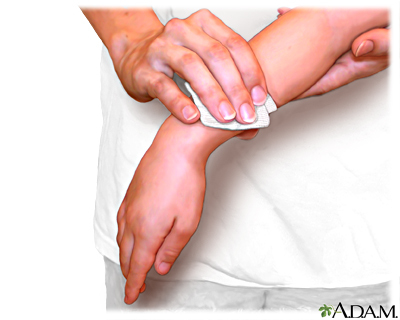 The right anti-venom can save a person's life. 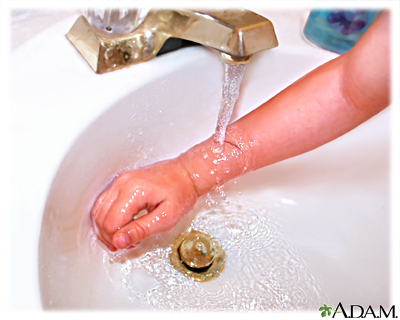 Even though most snakes are not venomous, avoid picking up or playing with any snake unless you have been properly trained.